Need More Cars’s recent sabbatical should end soon. It’s been a summer of selling a house, buying a house, packing, moving, obtaining dogs, unpacking and arranging for various contractors to quote projects such as building fences, and a horse shelter. The garage in the new house will hold four cars, but is currently limited to two until I complete unpacking the boxes marked “garage”. Once things have settled down, I expect car-related endeavors will recommence. The garage in the new house has RV parking in the far spot. I’ve discovered it is long enough to hold the LeMans (the longest fun car we have) and the Boxster S. I believe a lift would fit in this spot, thus making room for three cars behind the third of three garage doors. The left two spots in the garage could each house one car each, thus providing space for at least four cars and possibly five (with the addition of a lift). 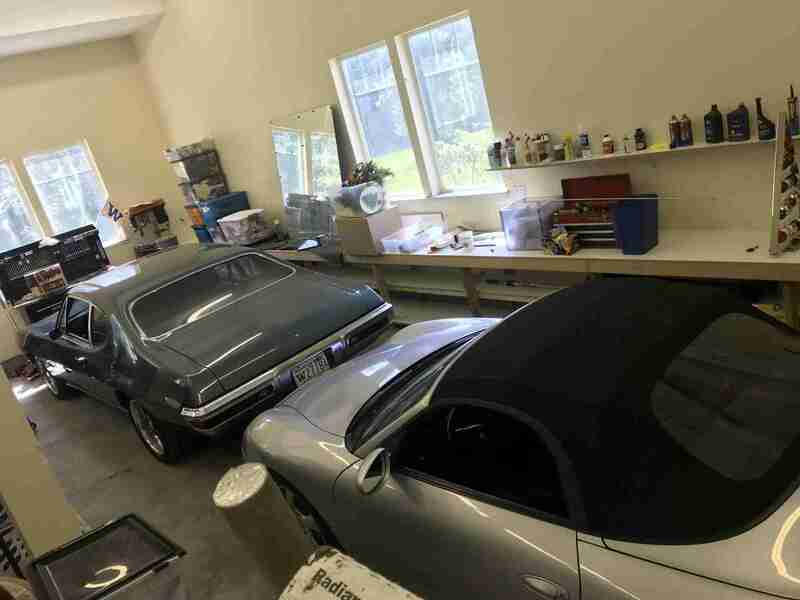 I envision the ’71 Corvette and ’72 LeMans in the two spots on the left and the Boxster S with either the ’75 Triumph TR6 or the ’75 BMW 2002 lined up on the right. Past the two parking spots on the left is a sunken workshop area, complete with a large capacity air compressor, drill press and the myriad of tools I brought from the old house. There is plenty of countertop space here, which will be perfect for powder coating, cleaning parts and various fabricating. This garage should provide much more room for such activities. Upcoming activities include an October 24 Hours of LeMons race in Shelton, WA in the NachoFriend Celica, replacing a leaky seal in the Ford 9 inch rear end on the ’72 LeMans and installing a Holley injection system on the LeMans’s 400 engine. The 944 has been in the shop for a couple of months and should be finished within the next couple of days, and I look forward to putting some miles on that transaxle wonder.